Depending on the flight schedule, proceed to your transfer to the airport and flight to Fort Dauphin. You will be met and driven to the Berenty Private Reserve, located in the heart of a vast sisal plantation and owned by the De Heaulme family. Get settled at your hotel. The private reserve covers an area of 240 hectares and extends along the Mandrare river. The flora and fauna are the gallery forest type. 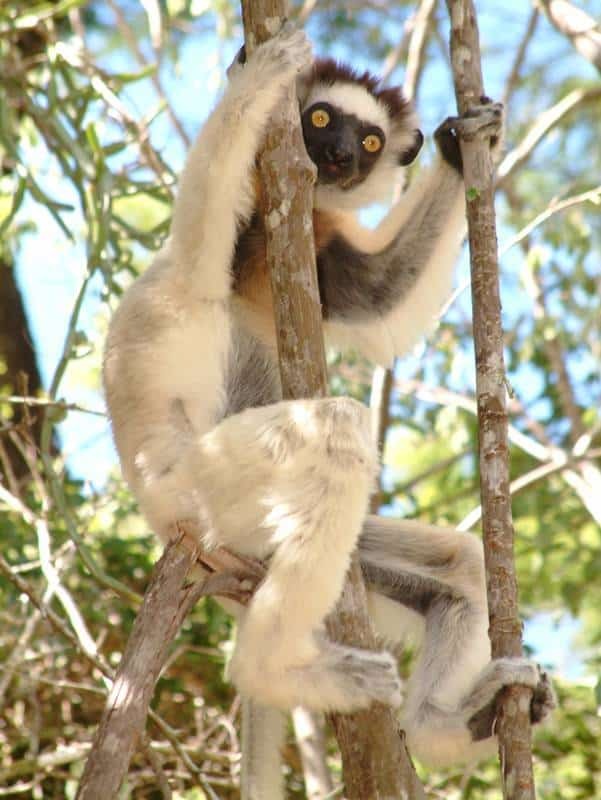 Its fauna obviously consists in four lemur species that are particularly widespread: Propithecus verreauxi or “Sifaka”, Lemur catta or “Maki”, Microcebus murinus or “Tsidy” and Lepilemur leucopus or “Sonygika”. 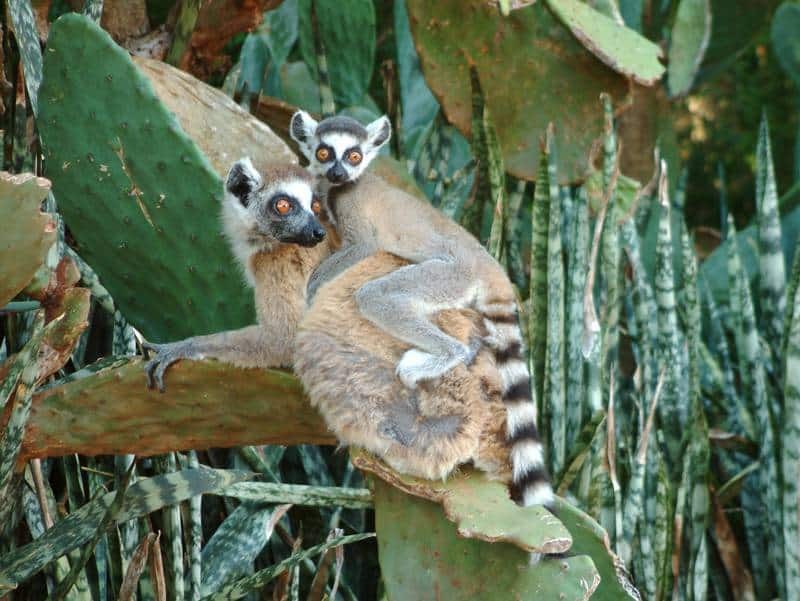 The Lemur fulvus rufus “Gidro” species is from the region of Morondava. The reserve also shelters turtles, chameleons, birds and butterflies. The flora includes Tamarind, Didiereacea, Euphorbiaceae and Liliaceae. Your guide will organize your visits at your ease. You will proceed to your transfer to Fort Dauphin in the afternoon of day 3. 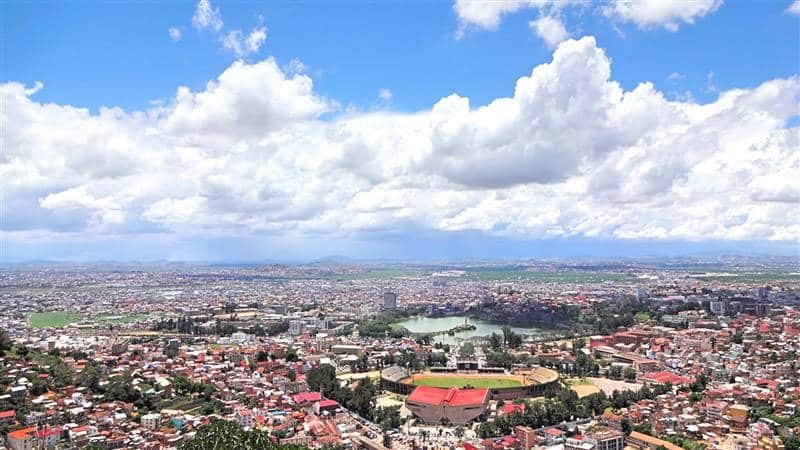 Transfer to the airport for theflight Fort Dauphin – Antananarivo. You will be met at your arrival and transferred to your hotel. Photographing the dancing lemur named Sifaka. Bird watching in the early morning with your naturalist tour guide. 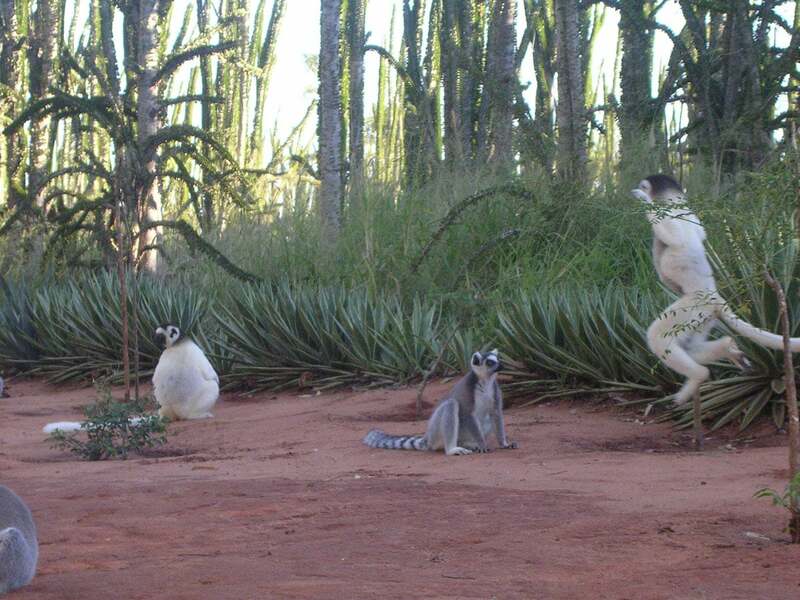 Marvel at the deep south of Madagascar, a home for lemurs! Discover its spiny forest and lodge.